Sunlight is a major source of vitamin D but it can also be obtained through the diet, especially for those concerned about too much sun exposure, a risk factor for skin cancer. New US research has found that higher circulating vitamin D concentrations are significantly associated with a lower risk of colorectal cancer, the third most common cancer and third leading cause of cancer-related deaths in both men and women in the United States. Carried out by scientists from the American Cancer Society, the Harvard T.H. Chan School of Public Health, the US National Cancer Institute, and more than 20 other medical centers and organizations, the new analysis looked at 5,706 colorectal cancer case participants and 7107 control participants with a wide range of circulating 25(OH)D concentrations from the United States, Europe, and Asia. During the follow-up, which was an average of 5.5 years, the researchers found that those who had a deficient concentration of vitamin D (less than 30 nmol/L) had a 31% higher risk of colorectal cancer than those who had vitamin D concentrations considered to be sufficient for bone health (50-<62.5 nmol/L). Vitamin D levels above sufficiency were also associated with between a 19% and 27% lower colorectal cancer risk depending on the level. However, at the highest concentrations (100 nmol/L and above) the risk did not continue to decline. The associations still held even after the team had taken into account other known colorectal cancer risk factors, and the protective effect of vitamin D was also found in all subgroups examined. However, the researchers did find that the association was noticeably stronger in women than men. The researchers commented that the findings strengthen the evidence that vitamin D has a protective effect against colorectal cancer after previous studies have provided inconsistent results. They also added that optimal vitamin D concentrations to help prevent colorectal cancer may be higher than the current National Academy of Medicine recommendations, which are based only on bone health, and suggested that levels between 75-100 nmol/L are optimal. Sunlight is a major source of vitamin D but it can also be obtained through the diet, especially for those concerned about too much sun exposure, a risk factor for skin cancer. 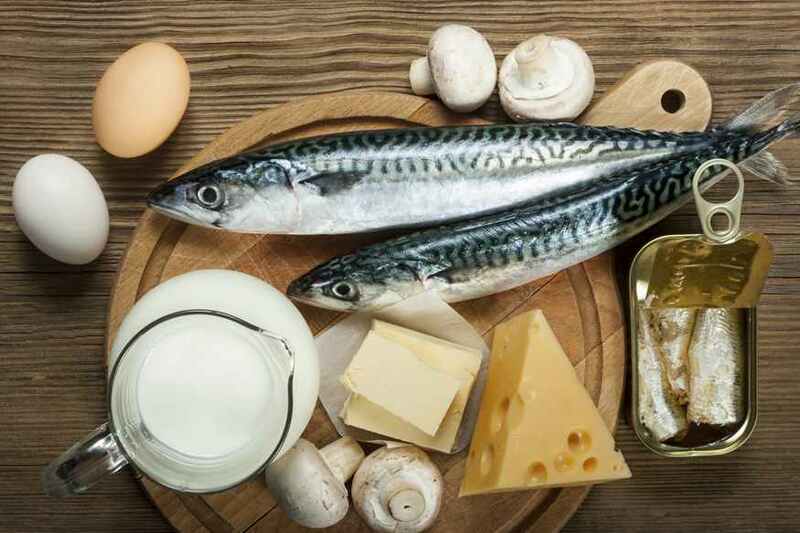 Good sources of vitamin D include fortified foods such as milk and yogurt as well as eggs, fatty fish such as salmon, trout, tuna and halibut, calf's liver, soy, and portobello mushrooms. The findings can be found published online in the Journal of the National Cancer Institute.